The DCT Dual Coil Tank (Shell Only) is the replacement tank for the DCT Dual Coil Tank. 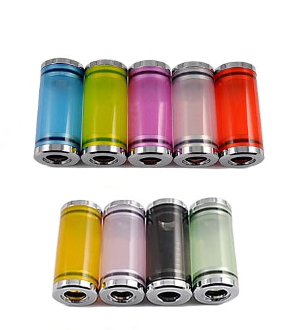 The DCT Dual Coil Tank is a 510 threaded cartomizer/clearomizer made of sturdy plastic and stainless steel. This clear tank holds 6ml of your favorite e-liquid and gives you clouds of tasty vapor.